It’s been a while since I posted, so let’s catch up. 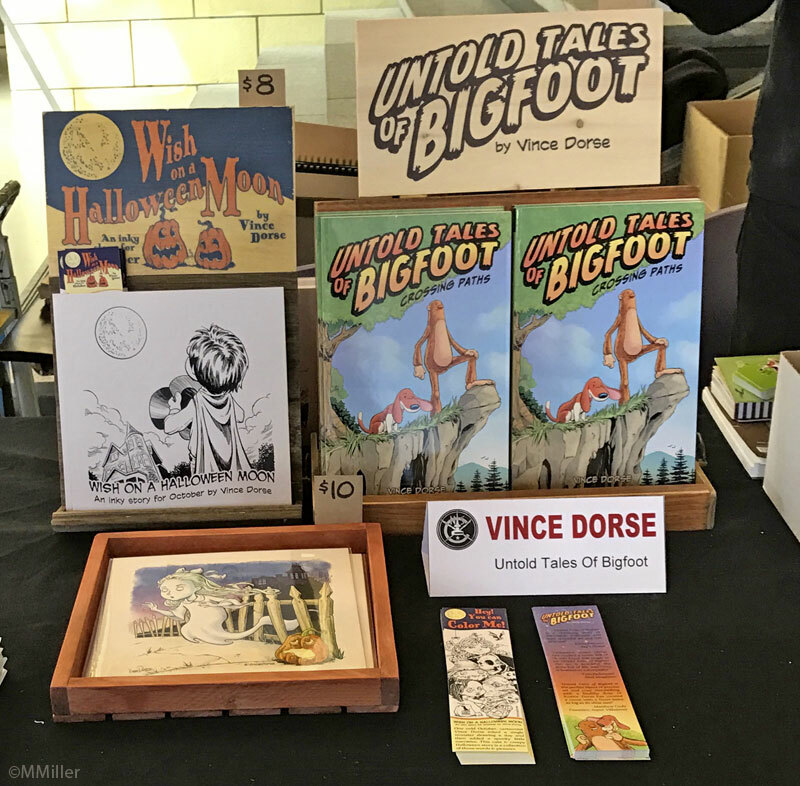 Last weekend I brought some books and prints to PIX, Pittsburgh’s Indie Comics Expo, held at the August Wilson Center for African American Culture in Pittsburgh. 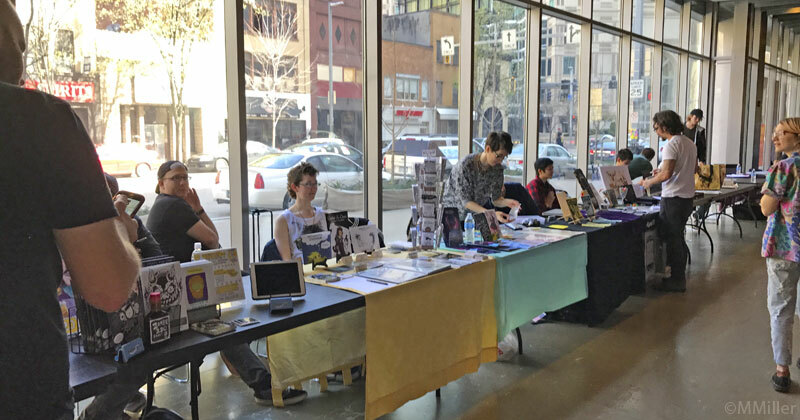 A nice venue and a great collection of small press/indie comics. 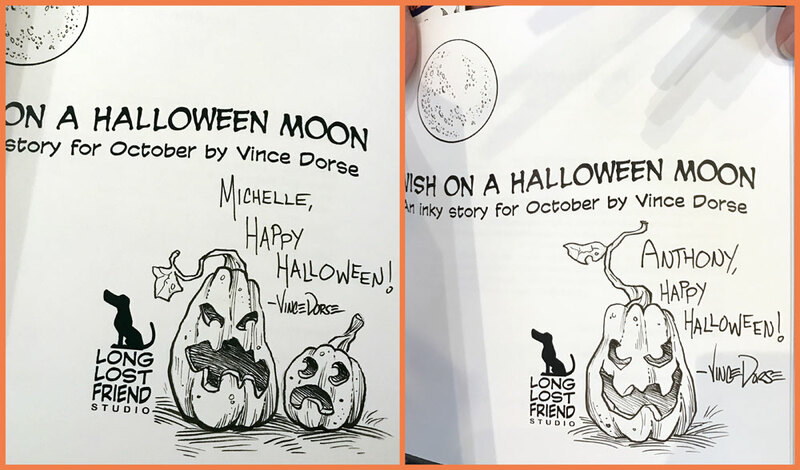 I was there to promote the NCS (a great organization that does charity work, hands out an annual scholarship to a budding cartoonist, and supports the art of cartooning ) and to premiere my newest project, Wish On A Halloween Moon, a spooky, all-ages storybook/artbook/coloring book. I hope to put up a process post on that book soon. 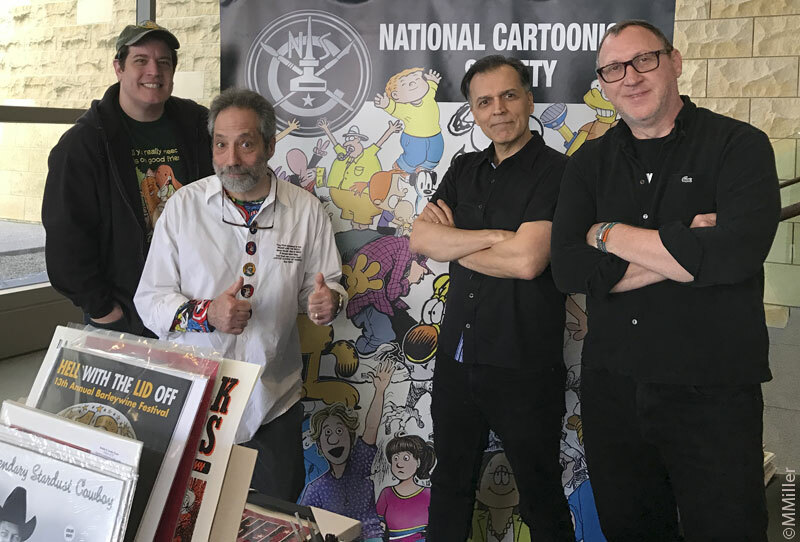 It was a nice afternoon, talking cartooning, meeting people from all over who came to exhibit and attend PIX and, of course, signing books. I managed to take a few photos of some of the doodles I’ve done in the books. 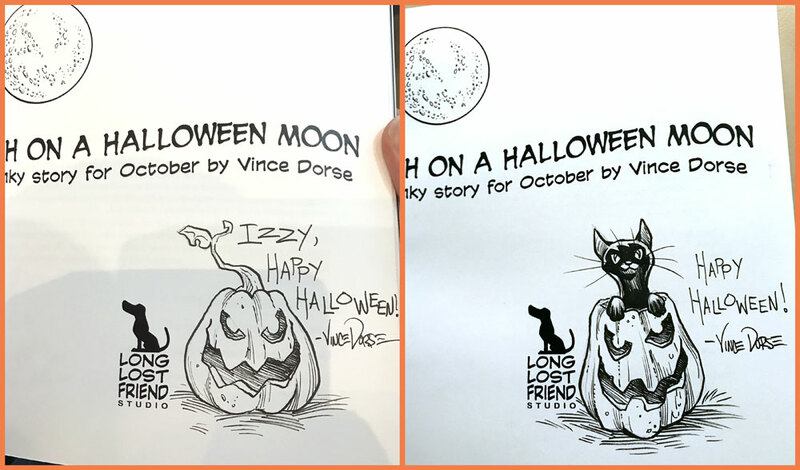 I know I drew a happy jack-o’-lantern for a younger fan, but I guess I didn’t snap that pic. 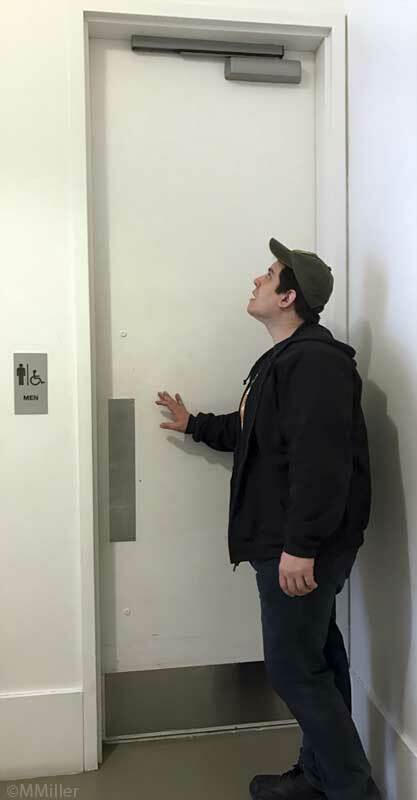 It’s always fun to visit the August Wilson Center, not only for the fantastic exhibits celebrating African-American culture, but also because their restroom doors are inordinately tall and make you feel like you’ve been hit with a shrink ray.